MOA 179: PIFAF – Money is an Echo of Value? 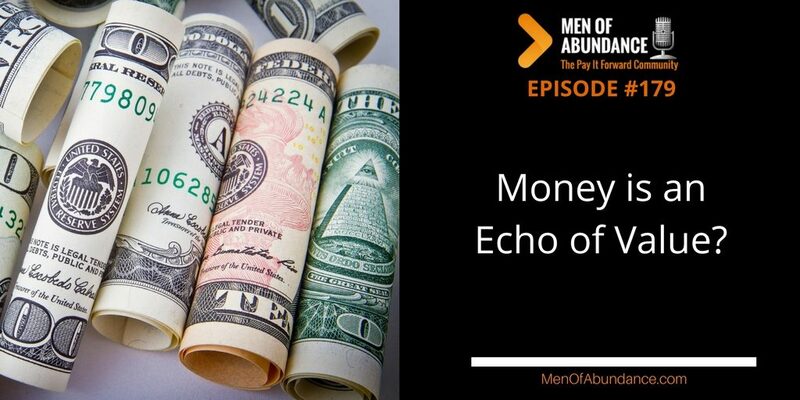 Money is an Echo of Value? I actually first heard this idea from the book, “The Go Giver” written by Bob Burg. And at first glance I completely agreed with it. Until someone asked me in a conversation, just as someone did of Bob. And that is a valid question to this idea that money is an echo of value. But here’s the difference in the context. In this statement, money is an echo of value, Bob is referring to value to the market place. Of course all people are valuable and all people provide value to someone on some level. Dads are valuable to their kids, Wives provide value to their husband and kids and all people provide value to the community at large. Here’s Bob Burg’s article for a bit more inside. Is Money “Really” and Echo of Value?